The bed store owned by South Africa’s Steinhoff is filing for bankruptcy protection, and blame spreads wider than a king-sized duvet. Overexpansion, underpricing, predatory online rivals and Chinese dumping make for a fable about how retailers can fail even in a healthy economy. Two Mattress Firm stores, a brand owned by Steinhoff, lie on either side of the street in Encinitas, California, U.S., January 25, 2018. 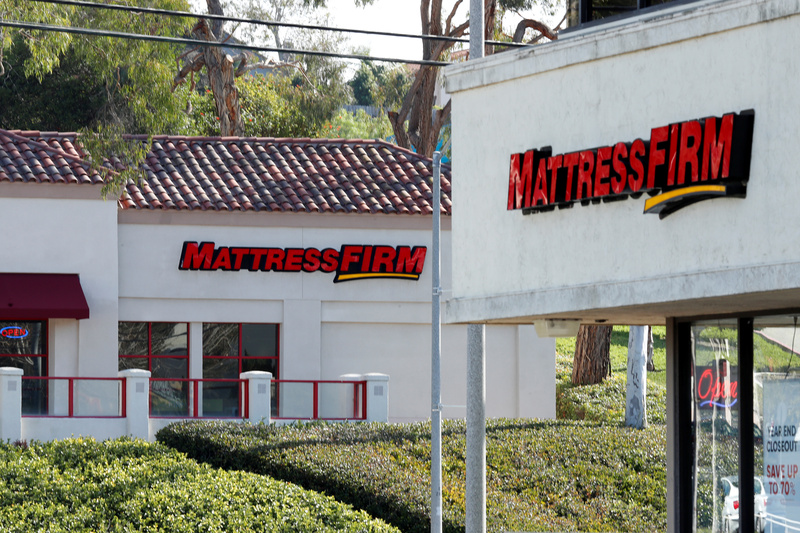 Mattress Firm, the U.S. bedding store owned by South African group Steinhoff, announced on Oct. 5 a restructuring in which it will receive $250 million of emergency financing, and ask to cancel 700 of its lease agreements. After the company emerges from bankruptcy protection, known in the United States as Chapter 11, creditors would receive just under 50 percent of Mattress Firm’s equity in return for loans of $525 million. Steinhoff would retain a majority stake. Steinhoff bought Mattress Firm, which has roughly 3,200 stores, in 2016. At the time it anticipated annual revenue of $3.8 billion. The current run rate is around $3.2 billion, according to a court filing on Oct. 5, with a projected EBITDA loss in 2018 of approximately $150 million. Steinhoff is negotiating its own debt restructuring with creditors, after announcing in December 2017 that there were irregularities in its accounts.